This was a 3 days travel to this island, just in front of mainland Malaysia. From Singapore it’s just a 1.2 hr. flight so you’re there in a flash. Penang is a state of Malaysia located on the northwest coast of Peninsular Malaysia, by the Strait of Malacca. 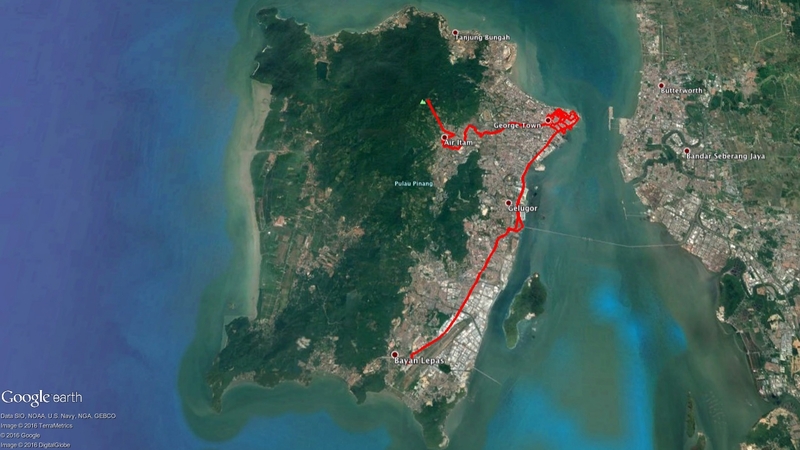 It comprises two parts – Penang Island, where the capital city, George Town, is located, and Seberang Perai on the Malay Peninsula (https://en.wikipedia.org/wiki/Penang). A fascinating fusion of the East and West, Penang embraces modernity while retaining its traditions and old world charm. These are reflected in its harmonious multiracial populace and well-preserved heritage buildings which led to George Town being accorded a listing as a UNESCO World Cultural Heritage Site recently. Long regarded as the food capital of Malaysia, Penang also entices visitors with its beautiful coasts and scrumptious cuisines (http://www.tourismpenang.net.my/).